Avery A-Z Tabs (Includes TABLE OF CONTENTS Tab, Side Tab, Letter Size - Indexing and Filing Products for the Legal Profession. Legal Index Dividers are used for Legal Briefs, Legal Exhibits, Special Litigation, Mortgage Documentation and Real Estate Closings. Can't find Index Tabs to fit your needs? 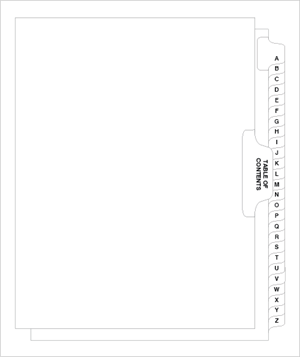 We make Custom Printed Index Tab Dividers to your exact specifications. 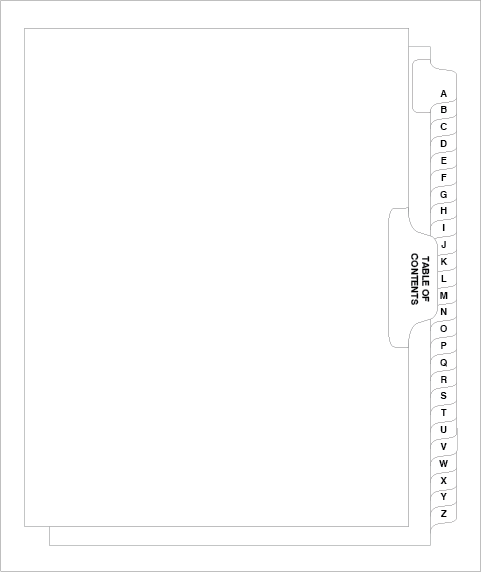 Custom Index Tab Dividers are available in a variety of materials, colors, and Sizes.